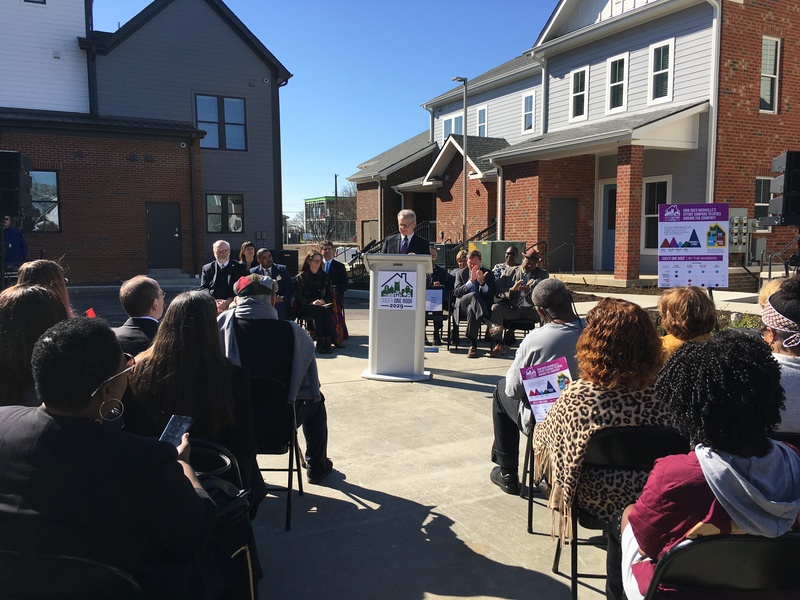 Mayor David Briley today announced a sweeping affordable housing initiative designed to significantly accelerate the city’s efforts to address housing needs. The “Under One Roof 2029” initiative aims to invest $750 million over the next 10 years in affordable housing in Nashville, with $500 million of that coming from the city. The initiative is expected to create at least 10,000 new units. $350 million investment of city funds in the Metro Development and Housing Agency to accelerate the Envision process and, in turn, add more than 5,000 new units on MDHA properties. This includes adding approximately 1,000 deeply affordable units (~20% increase). MDHA will also preserve and revitalize its existing 2,800 deeply affordable units, complementing the 5,000 new units. $150 million investment of city funds in the Barnes Fund – representing a 50% increase above current funding levels, which is projected to help fund the creation of at least another 5,000 affordable housing units throughout the city. $250 million challenge to the private sector to step forward with matching dollars. In an effort to better facilitate private investment in affordable housing, the Mayor’s Office is exploring a number of avenues, including the creation of an affordable housing Real Estate Investment Trust (REIT).